Lately, I’ve been making a diligent effort to eat less processed foods, and incorporate more protein into my diet. But as I’m sure many of you know, this can prove to be particularly difficult if you’re stuck in an office all day! I have to admit, I really wonder how in the world I get hungry from sitting at a desk and in meetings all day, yet somehow, I do. I don’t exactly enjoy sitting all day, which is my main motivaton that gets me to the gym each and every morning. I know it’s in my head, but I just feel better at 8:30 a.m. knowing I was already active that day, especially since I’m sitting there all day. Anyway, something that’s even more difficult than sitting at a desk all day is feeling satisfied after breakfast and lunch each day. Up until last month, I continued to realize that I was starving within one hour after eating. I wasn’t eating enough protein at or between my meals, and was eating empty calories of “100 calorie packs” and sugar-laden granola bars, instead of choosing protein-packed snacks or whole-grain options. That’s why I love these granola bars. They’re full of wholesome, high in protein, and they satisfy my sweet-tooth….good things really do come in 3’s! 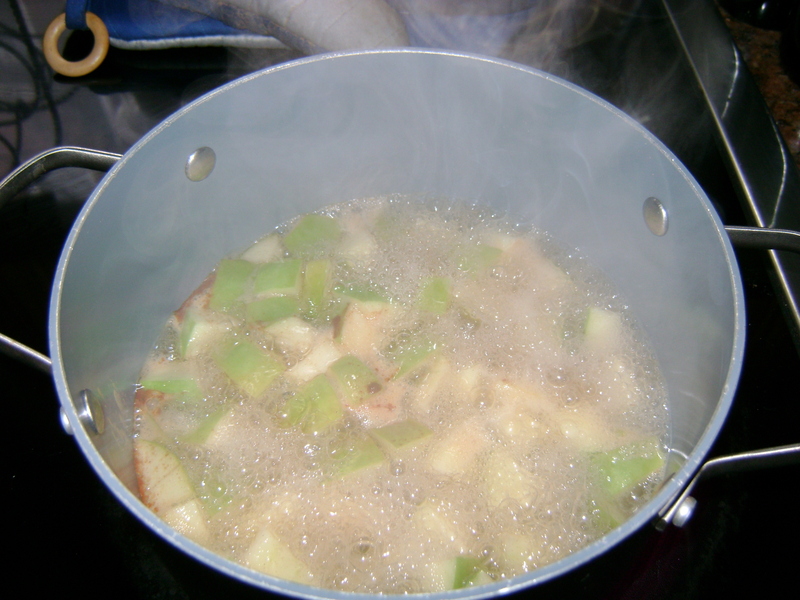 1) Chop apple, a cook Apple(or your choice of fruit) on stove, then mash in a large bowl. 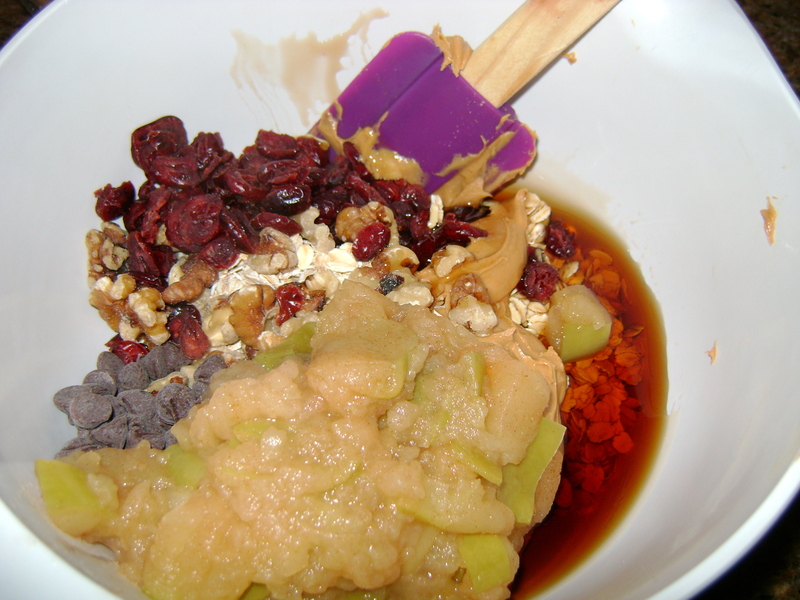 2) Add all ingredients to bowl and mix together. 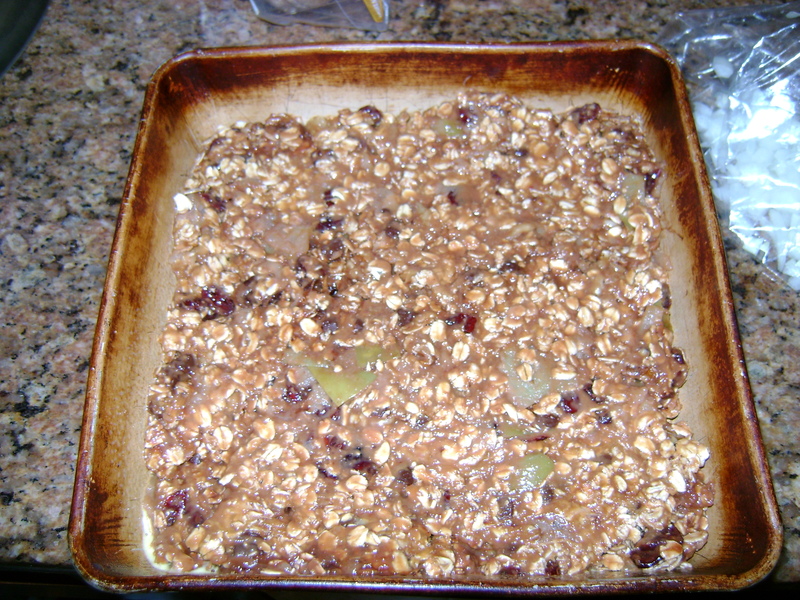 3) Smooth out in 8X8 pan, and chill in refrigerator for 2 hours. 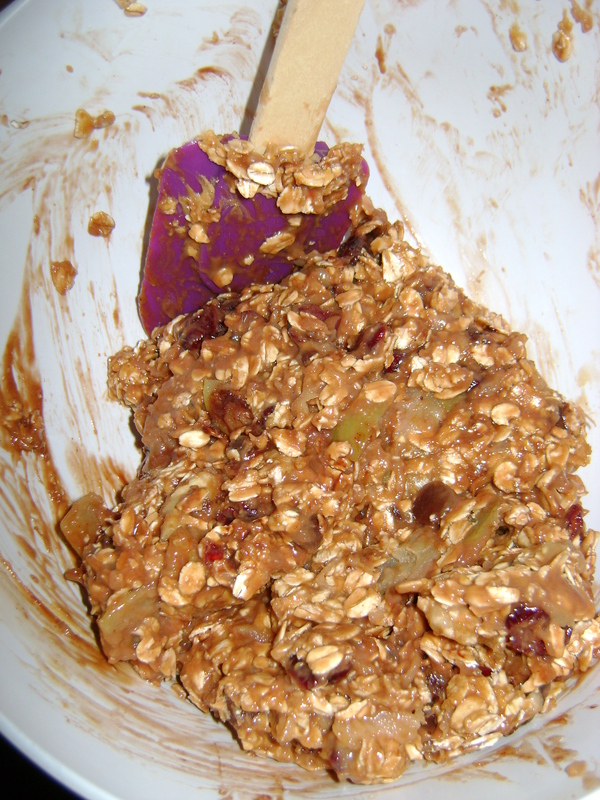 One of the best parts about these granola bars is that you can adapt them to your taste. For instance, use a banana instead of an apple. Or, don’t include the chocolate chips and double up on the raisins instead. It’s up to you! Whenever I make these, I package them up in plastic wrap and take one to work each day for my afternoon snack. It’s quite the afternoon treat. Make these!! It’s natural to think that since I’ve lived in the North End “Little Italy” of Boston for 4 years, I’d get sick of pasta…but it’s just not the case. Pizza, gnocchi, and Italian bread have become some of my favorite foods, and I let myself indulge in my favorites. The key is moderation! You can eat anything in moderation. Fortunately, it is possible to make your favorite Italian dishes healthier, without compromising the taste. 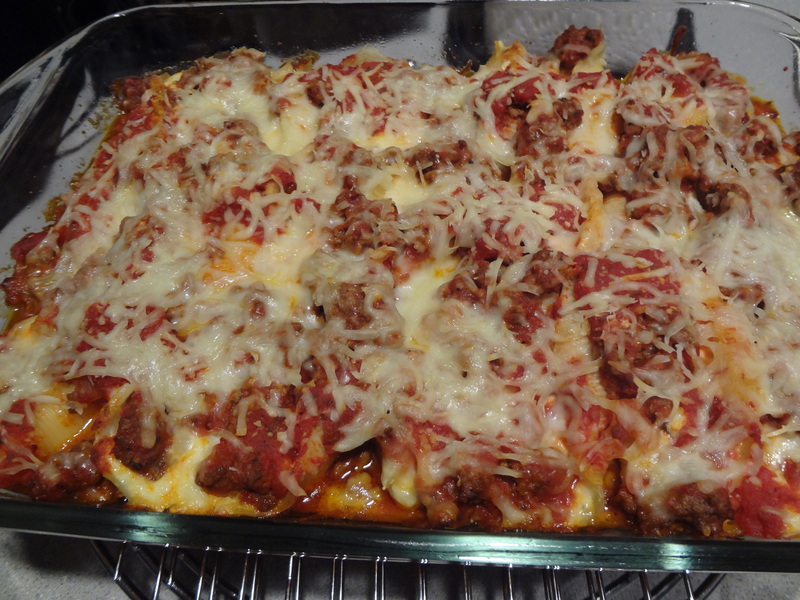 With the help of part-skim ricotta, part-skim mozzarella cheese, 93/7 lean ground beef, and a healthy tomato sauce, I did just that with these stuffed shells. There’s absolutely no reason to feel guilty about this meal. Plus, it’s great to make ahead on a Sunday (or any day for that matter)and store it in the fridge for the work-week ahead. My taste-testers agreed, this one is a keeper! 1)Cook shells according to package direction. Remove from water and spread on paper towels or wax paper to cool. 2)While the shells are cooking, cook lean ground beef, onion, and garlic; drain off the fat and return to the pot. Stir in pasta sauce. 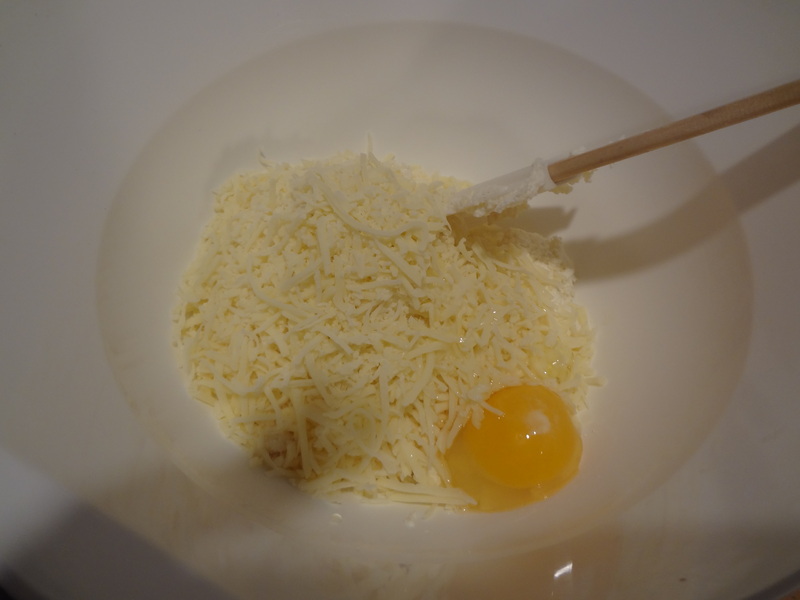 3)In a large mixing bowl, stir together ricotta, 1 cup mozzarella cheese, parmesan cheese, and egg. 4)If shells are cool enough at this point, stuff the shells with the cheese mixture. 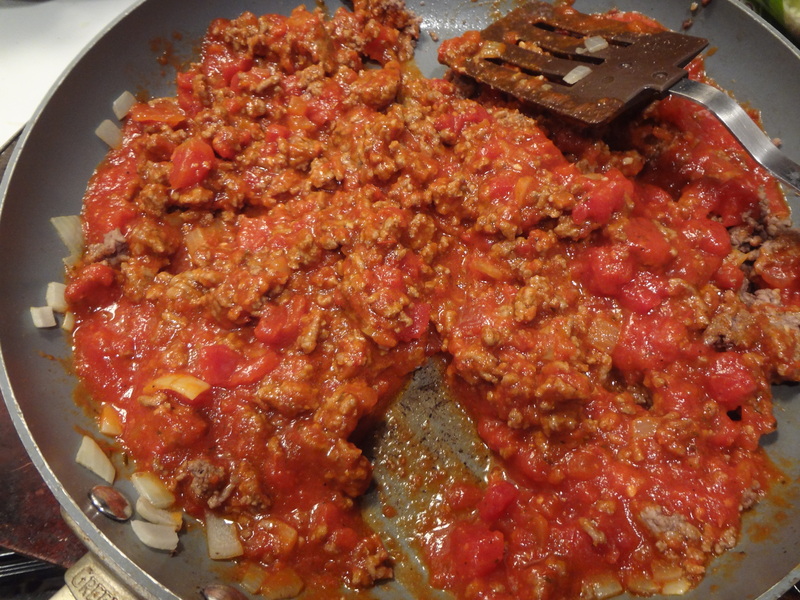 5)Cover the bottom of a 9×13 baking dish with a thin layer of meat sauce mixture. 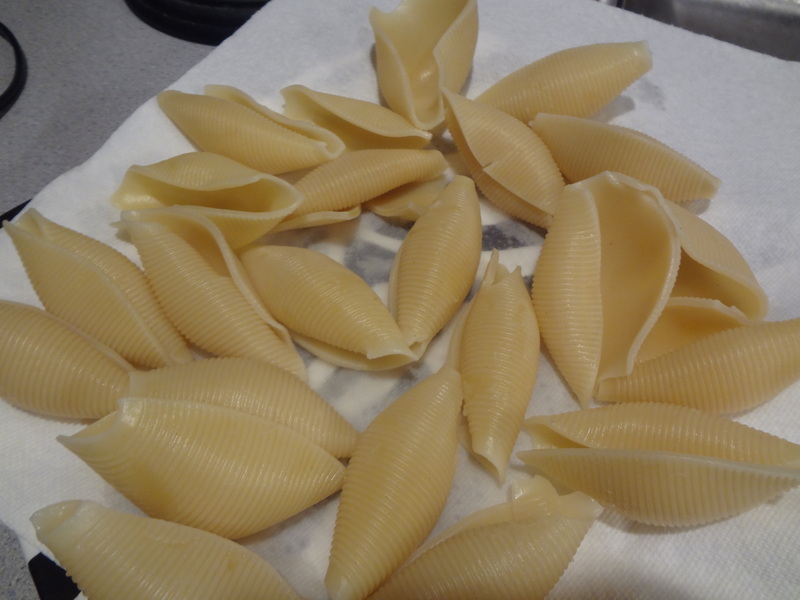 Now lay shells into the dish. 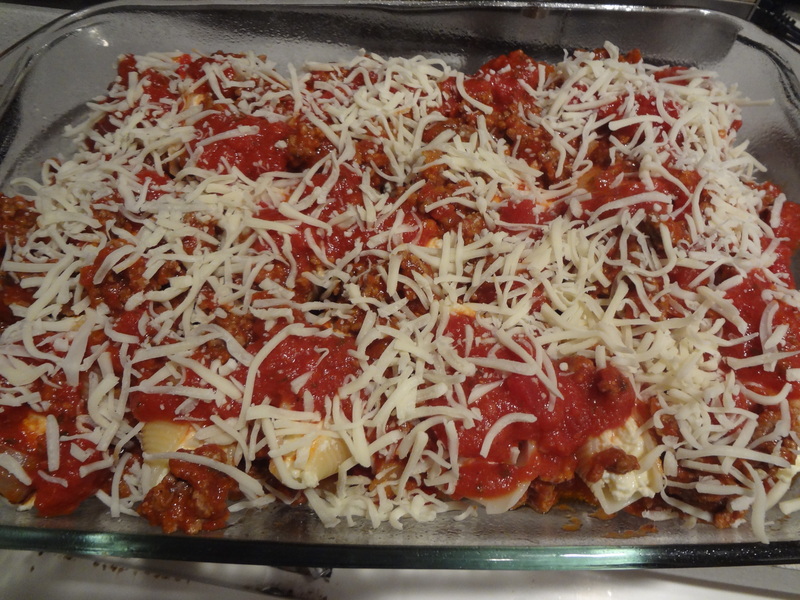 Spoon remaining meat sauce mixture over the stuffed shells, and top with remaining 1 cup mozzarella cheese. 6)Bake, loosely covered in foil, in a 350 degree oven for 30 minutes, or until sauce is bubbling and cheese is melted. Remove foil and broil for a few minutes until the cheese is golden brown. 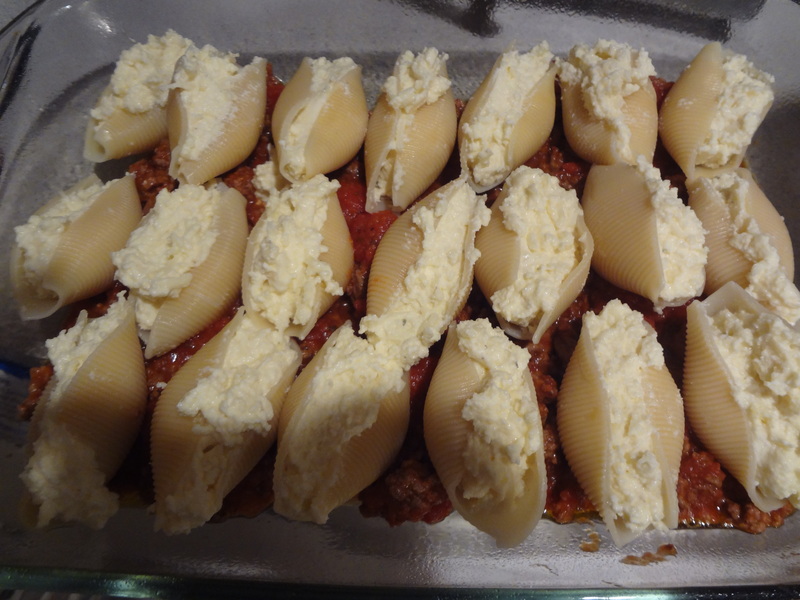 Of course, like most any recipe, you can adapt the stuffed shells to your liking. Vegetarian? Don’t include the meat. Want to include some greens? Add spinach to the cheese mixture. Stuffed shells can be made in a variety of ways…but trust me, this way won’t disappoint!